At Maidenhead Aquatics at Plymouth, excellent customer service is vital to us. We try our utmost to make fishkeeping the best and only hobby you'd ever want to have, so if you have any queries or just want some friendly, expert advice, just drop in or give us a call and speak to one of our knowledgeable staff who will be more than happy to help. 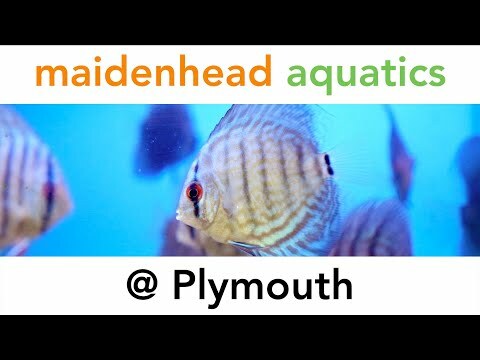 Our Plymouth store has everything you'd ever need to begin or indulge your passion for fishkeeping. We have a wide range of dry goods for pond and aquariums as well as an extensive livestock collection ranging from Neon tetras to Blood red cleaner shrimp. We also have a good selection of Koi during the pond season, all housed in our purpose-built Koi system which is well-filtered and U.V sterilised so that you can be sure all our koi are kept in the best possible conditions.